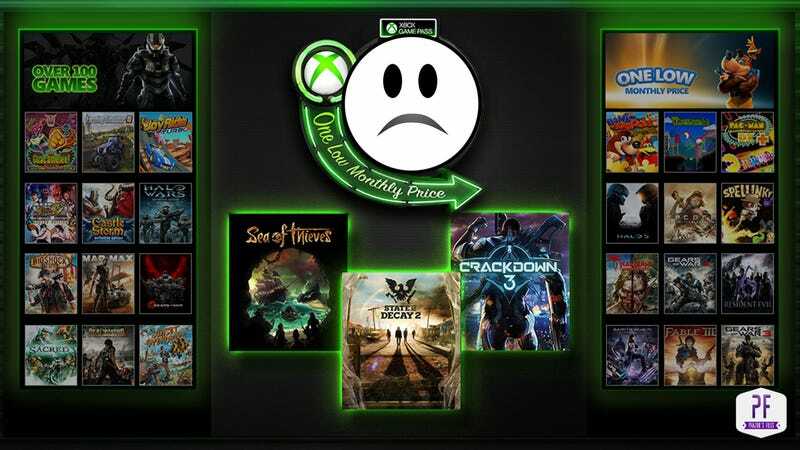 As Microsoft published their plans for Game Pass came as a surprise, especially for game retailers that make most profits through software sales. Console hardware is usually sold at a loss for the manufacturer and the retailer. This is usually remedied by software sales. A $60 dollar game has around $15 (or around 25%) worth of retailer margin. says Gameware AT directed at Microsoft. Currently, they still have Xbox One games and accessories listed in their online shop. While this might be the most extreme reaction, they are not alone: GamesIndustry.biz spoke to retailers in the UK who are just as unhappy. says Stuart Benson from Extreme Gamez. They as well plan to stop stocking Xbox products. Microsofts steps with their Game Pass could mean something else altogether: Due to Microsofts cross-play initiative, their new games aren’t Xbox One exclusive, indicating that Microsoft might change their focus from hardware sales altogether and shift towards a Netflix-like game subscription service.